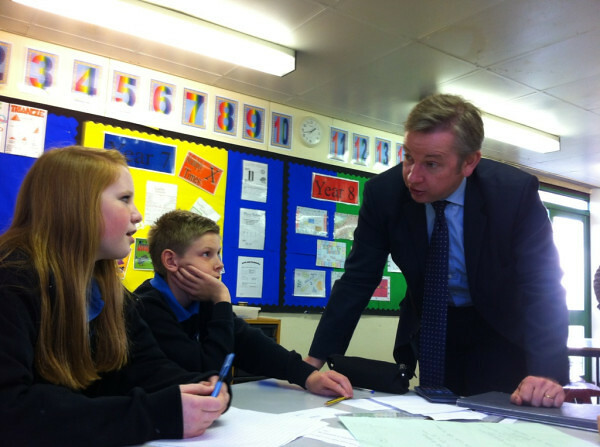 Image © [caption id="" align="alignnone" width="566"] © (Regional Cabinet/ Flickr), Michael Gove at a a High School[/caption] Academies are Michael Gove’s golden goose. When confronted with a failing in the education system - whether it’s chaotic home lives or problem schools - his answer is simple: we need more academies. Though initially a Labour policy, academies are a characteristically Conservative solution to low school standards – an attempt to emulate fee-paying schools’ success in the state sector. Like fee-paying schools, academies are released from local authority control, leaving them largely free to set their own school hours, teachers’ pay, curriculum details and admissions policies. Once free from this control, Gove believes, schools will be able to innovate and improve, competing with each other to produce the best results for students. However, fee-paying schools and state schools differ in a crucial respect: responsibility. For fee-paying schools, education arises from parents’ contractual consent - the school is not obliged to educate any given child. The state, however, has a responsibility to ensure that every child receives a good education. Unlike its private counterpart, the state cannot determine that certain pupils are too poor, chaotic or underperforming to receive an education; the state’s goal is to ensure every child is educated to the best possible level. If the government allows academies to run independently of local education authorities, though, it severs that link between state education and responsibility. By instating competition, academies pursue only their own purpose, rather than any common educational aims. A local authority has a duty to make sure all of the children in its area are educated, and therefore has an incentive to make sure its schools don’t avoid admitting traditionally more ‘difficult’ students. Academies, on the other hand, have no wider responsibilities beyond their own success, and so are motivated to shun these students – as demonstrated on numerous occasions. Just last week, academies were found to be manipulating admissions rules to admit more privileged pupils. Similarly, in August 2012, the highly-regarded Mossborne Academy lost a legal challenge over its decision to refuse entry to 5 SEN students. Academies’ lack of wider responsibility also leads to wider inefficiencies. Greater London authorities have expressed frustration at the lack of academies being built in areas with the highest deficit of school places, leaving them to find places for these extra students. For Gove, the expansion of the academies programme is a magical solution to state education’s shortcomings. But, as the adage goes, ‘if something seems too good to be true it probably is’. There is no principled reason to think, aside from blind faith in the market, that competition and deregulation will necessarily drive up standards in state education - as evidenced by US charter schools, which have at best deliver a mixed bag. The success we do see from the academy model is often an illusion, achieved by shifting responsibility onto local authorities. By encouraging already successful schools to become academies, as most now have, this problem is compounded, leaving local authorities with a wider and more difficult set of children to educate and its less successful schools to do it in. If Gove wants to make academies look more successful than local authority schools, this is certainly a clever way to go about it. Perhaps if Mr Gove is really looking to emulate the success of fee-paying schools in the state sector, he should ignore competition and look to the many other factors that make these schools so successful: inspiring buildings, smaller class sizes, consistent discipline, a focus on traditional subjects, and crucially, high aspirations for all of their students. These are the factors – whether at academies or local authority schools – that determine success. Britain’s children would be better served if the political focus moved away from attacking and abandoning local authorities, and towards a cooperative effort to improve standards. Academies are Michael Gove’s golden goose. When confronted with a failing in the education system – whether it’s chaotic home lives or problem schools – his answer is simple: we need more academies. Though initially a Labour policy, academies are a characteristically Conservative solution to low school standards – an attempt to emulate fee-paying schools’ success in the state sector. Like fee-paying schools, academies are released from local authority control, leaving them largely free to set their own school hours, teachers’ pay, curriculum details and admissions policies. Once free from this control, Gove believes, schools will be able to innovate and improve, competing with each other to produce the best results for students. However, fee-paying schools and state schools differ in a crucial respect: responsibility. For fee-paying schools, education arises from parents’ contractual consent – the school is not obliged to educate any given child. The state, however, has a responsibility to ensure that every child receives a good education. Unlike its private counterpart, the state cannot determine that certain pupils are too poor, chaotic or underperforming to receive an education; the state’s goal is to ensure every child is educated to the best possible level. If the government allows academies to run independently of local education authorities, though, it severs that link between state education and responsibility. By instating competition, academies pursue only their own purpose, rather than any common educational aims. A local authority has a duty to make sure all of the children in its area are educated, and therefore has an incentive to make sure its schools don’t avoid admitting traditionally more ‘difficult’ students. Academies, on the other hand, have no wider responsibilities beyond their own success, and so are motivated to shun these students – as demonstrated on numerous occasions. Just last week, academies were found to be manipulating admissions rules to admit more privileged pupils. Similarly, in August 2012, the highly-regarded Mossborne Academy lost a legal challenge over its decision to refuse entry to 5 SEN students. Academies’ lack of wider responsibility also leads to wider inefficiencies. Greater London authorities have expressed frustration at the lack of academies being built in areas with the highest deficit of school places, leaving them to find places for these extra students. For Gove, the expansion of the academies programme is a magical solution to state education’s shortcomings. But, as the adage goes, ‘if something seems too good to be true it probably is’. There is no principled reason to think, aside from blind faith in the market, that competition and deregulation will necessarily drive up standards in state education – as evidenced by US charter schools, which have at best deliver a mixed bag. The success we do see from the academy model is often an illusion, achieved by shifting responsibility onto local authorities. By encouraging already successful schools to become academies, as most now have, this problem is compounded, leaving local authorities with a wider and more difficult set of children to educate and its less successful schools to do it in. If Gove wants to make academies look more successful than local authority schools, this is certainly a clever way to go about it. Perhaps if Mr Gove is really looking to emulate the success of fee-paying schools in the state sector, he should ignore competition and look to the many other factors that make these schools so successful: inspiring buildings, smaller class sizes, consistent discipline, a focus on traditional subjects, and crucially, high aspirations for all of their students. These are the factors – whether at academies or local authority schools – that determine success. Britain’s children would be better served if the political focus moved away from attacking and abandoning local authorities, and towards a cooperative effort to improve standards. Caitlin Devereux Caitlin graduated in 2012 with a BA in philosophy from Cambridge. She is currently living in Hong Kong, where she works as an English teacher in a secondary school. She is enjoying the new perspective on politics and life. Her main political interests are in public sector reform. Having spent her time at Cambridge working for the university access campaign, she is particularly interested in education policy. She has a strong belief that evidence based policy and long term thinking would solve many of the problems in British politics.